Engineering design processes are not always single stream processes. There are times, especially in complex workflows, when the process execution needs to be modified (branched) based on the results of upstream events. Sometimes we intend for a set of design variables to be independent, but then realize that these variables need to satisfy a given relationship. 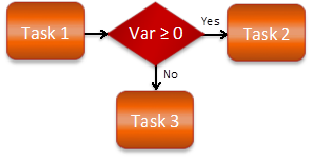 How can a variable be both independent and dependent at the same time? We call these semi-independent variables. Let’s illustrate this concept with two separate examples.